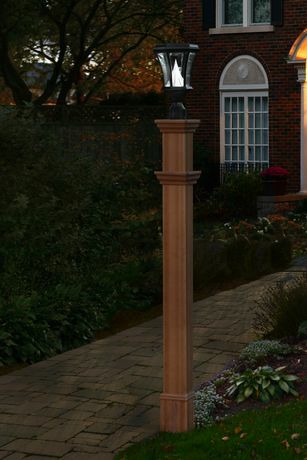 Increase your curb appeal with a lamp post from New England Arbors. Innovatively designed to look like natural wood while providing all of the maintenance-free, consumer friendly benefits of modern materials. The stylish Charleston Lamp Post elegantly accentuates any yard.